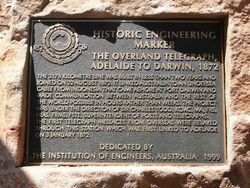 A Historic Engineering Marker commemorates the Overland Telegraph Line which was constructed from Adelaide to Darwin between 1870 and 1872. 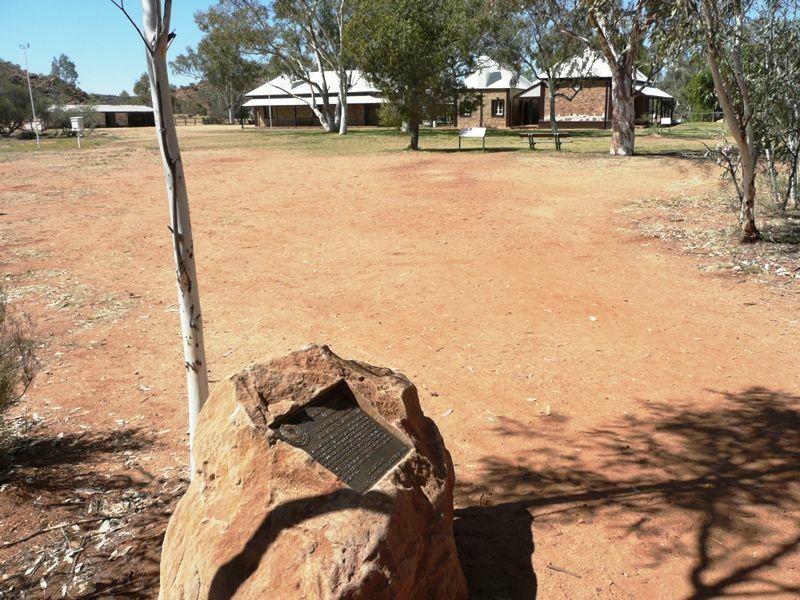 The 3178 kilometre line was built in less that two years and joined on 22 August 1872. It linked Australia to an undersea cable from Indonesia that came ashore at Port Darwin and made communication between Australia and the rest of the world possible in hours rather than weeks. The project was under the direction of Sir Charles Todd, KCMG, MA, FRS, FRAS, FRMS, FSTE, Superintendent of Posts and Telegraphs. The first telegraph messages from overseas were relayed through this station which was first linked to Adelaide on 3 January 1872.